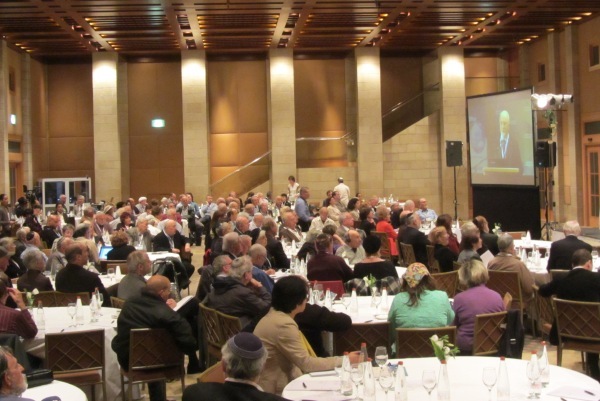 is not the real streets…the rich and famous have stayed here. 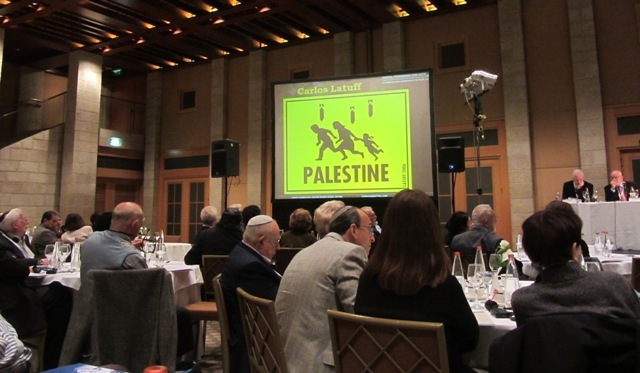 It was held in the hotel ballroom. 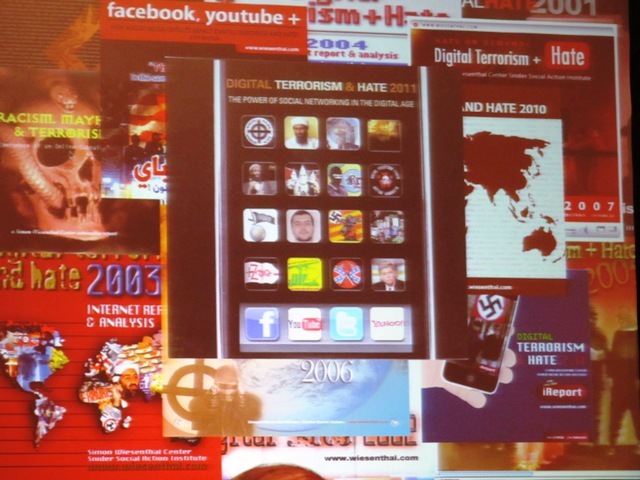 illustrated in this Simon-Wiesenthal Center slide. 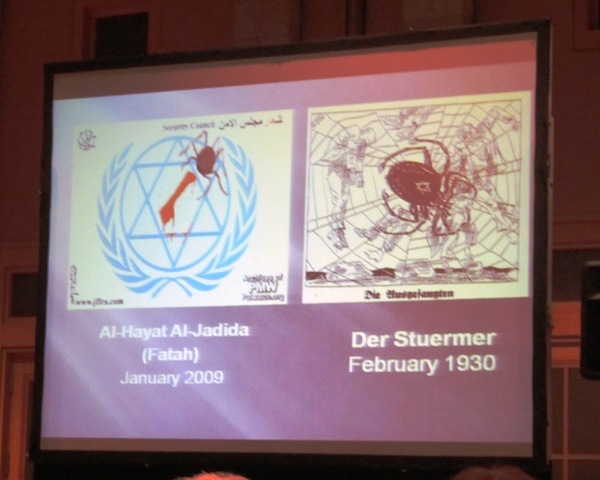 On the net, a talented but anti-Semitic Brazilian artist can reach around the world. 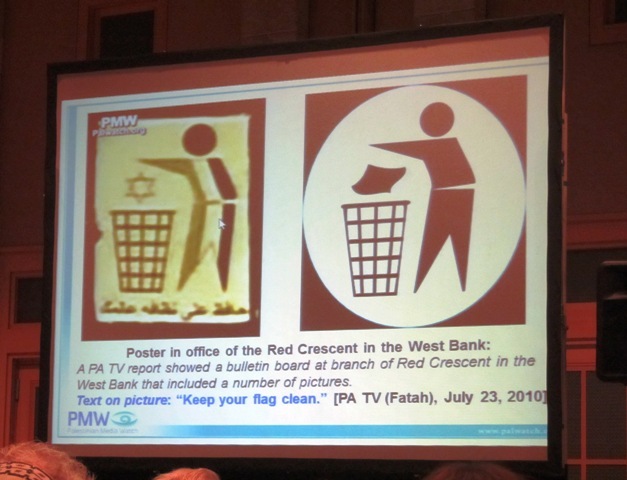 Speakers discussed growing anti-Israel feelings in western countries. 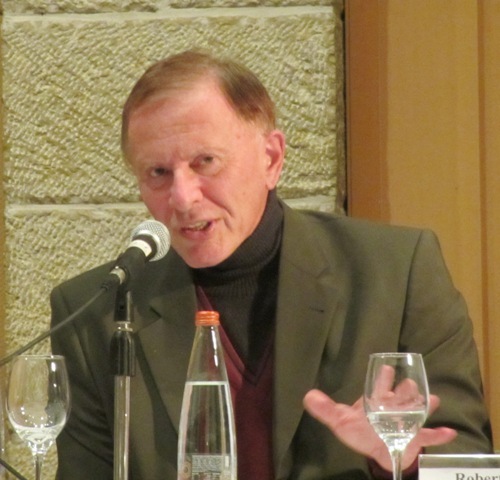 Prof. Robert Wistrich said demonizing Israel in Britain is becoming mainstream. 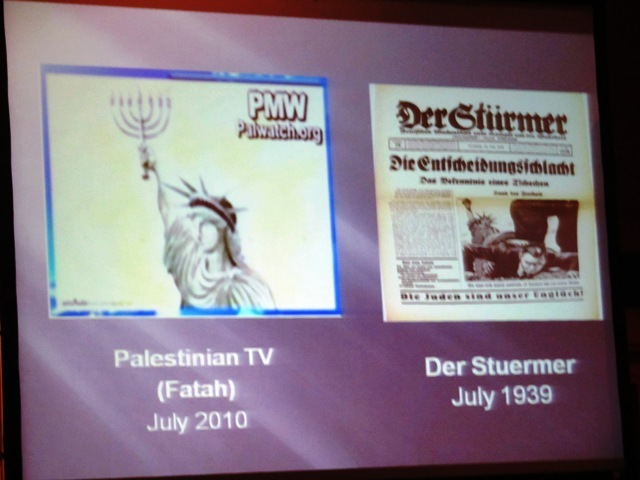 show the PA publications as compared to the Nazi incitement drawings. 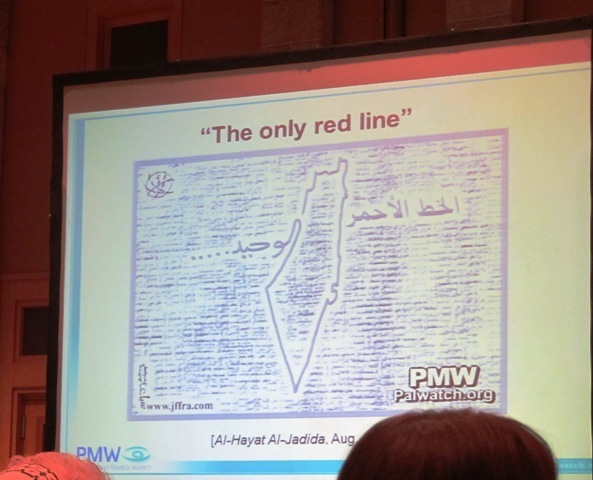 Even a Red Crescent office displays an anti-Israel drawing. 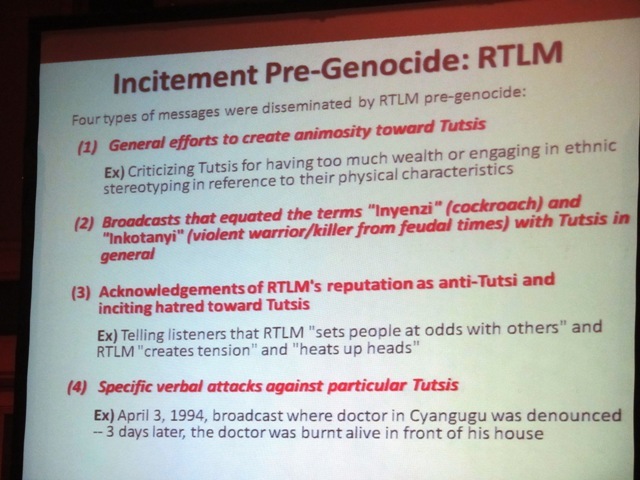 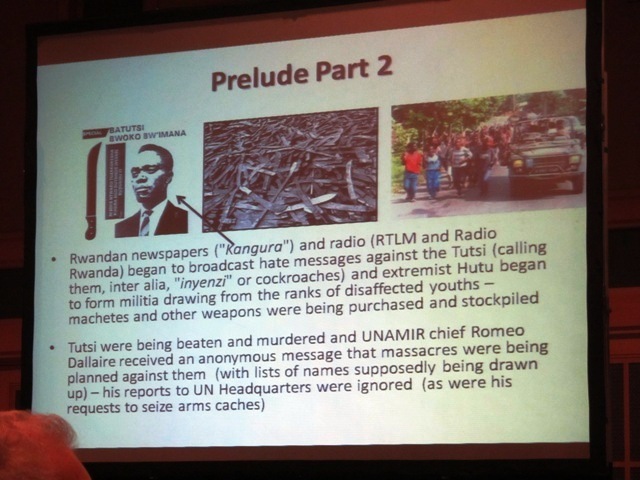 in Ruwanda, provided information on the media leading up to the genocide. 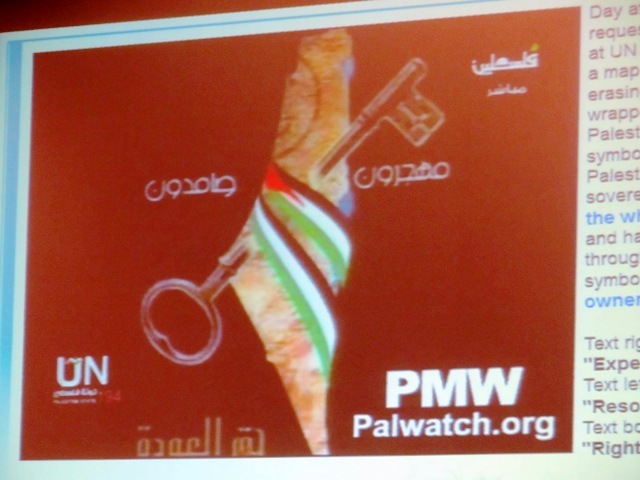 think what the Palestinian Authority is doing today. 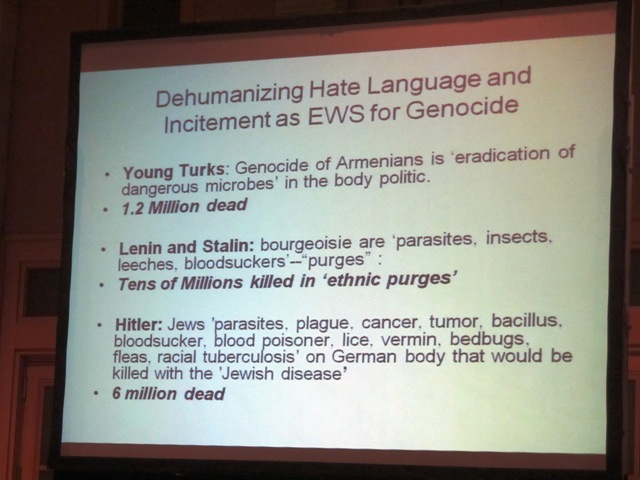 Iran,…incitement to terror or genocide?